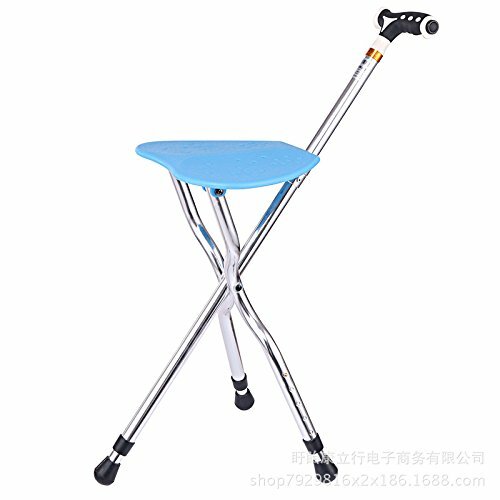 Super Light folding Cane seat,Extra big seats more comfortable. Cane seat 350 lbs capacity. 4. 5-Gear adjustment,Adapt to different heights. The old man lined up, traveled, and walked outdoors:Bad eyesight/Poor balance force/The legs are not healthy. Cane Seat 400 lbs Capacity,Weight: 2.3lbs,Adjusting height range: Sitting Board Height: 19.09-22.44in Approximately; Fold Cane Seat Height: 32.28-36.81in Approximately. 5 thick carton packaging, safer transportation. Quality is guaranteed. If you have any questions, feel free to contact us.